Inspired by a real time photo, Vladimir sculpted five Vietnam War SEAL figures posing with a captured Viet Cong flag. Figures are released as three kits to display individually or together make the full scene. After formerly released B6-35082 US Navy SEALs VC Flag and B6-35088 US Navy SEAL Stoner kits, BRAVO-6 brings the last kit of the scene as a two-figure kit - B6-35089 Viva SEALs. The figures come well packed in standard BRAVO-6 light brown cardboard box labeled with a photo of the assembled and painted figures. Inside the box, bodies and other parts like arms, weapons and gear are seperately inserted in small plastic zip-lock bags. Parts are represented with easy to remove casting blocks. Casting quality is good and details are crisp. No casting mistakes or air bubbles on review samples. There will be a need to clean a few seamlines on the sides of the bodies and arms. Posed standing and raising his Stoner up with his right hand, figure comes in 10 parts. Body with head : Facial details like eyes, nose, lips , ears and hair are well sculpted which will make the painting easier and more apparent. He has a pull right Tiger Stripe Camo Beret on his head. 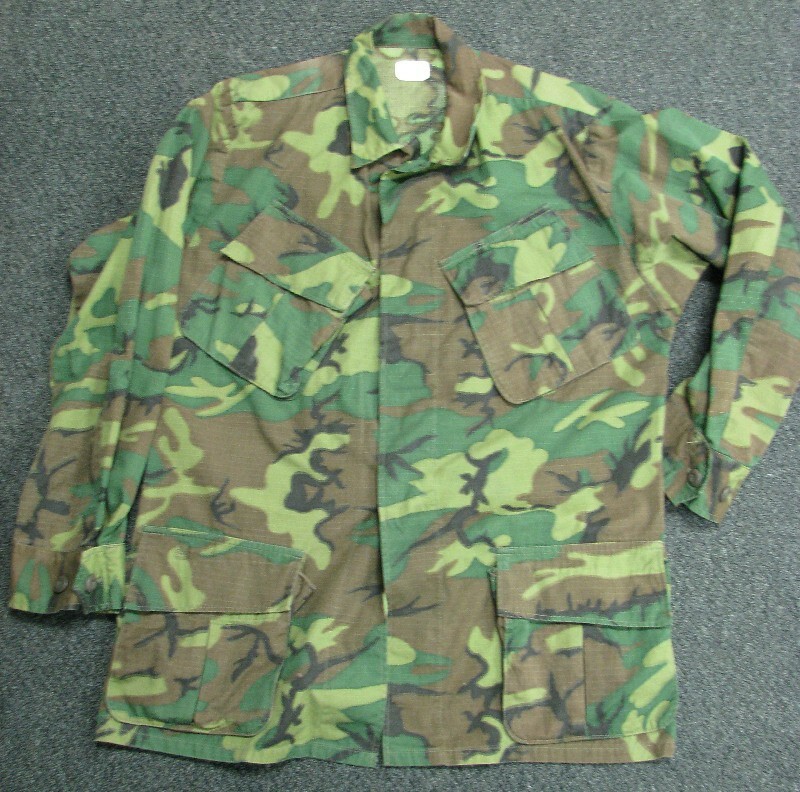 He wears tropical jungle uniform of jacket and trousers in Lime Green dominant ERDL camo pattern. ERDL - Engineer Research and Development Laboratories was developed back in 1948 but first issued to elite reconnaissance and special operations units during Vietnam war. Details on the uniform, wrinkles and cloth folds, fully or half loaded breast, waist and side cargo pockets are all well defined. Over his uniform, he carries M1956 LCE-Load Carrying Equipment of Pistol belt and H-harness. Two Ammo pouches with Stoner magazines inside on both sides and a Jungle First Aid Kit on the backside attached to harness are cast on the figure. A two pouch M18 Claymore bag with right shoulder crossed strap is carried on the left side. There are 2 hollows on the back to add water bottles. As for the footgear, he has canvas-leather combined Vibram jungle boots. Arms in upfolded sleeves show nice cloth folds and a wrist watch is added to the left one. Right arm is posed to raise his machine gun and left one is neutral next to the body. Weapon : Figure has a Stoner 63A with short barrel and ammo feed on right side. Hand is cast on the Stoner and magazine feed is hollowed to add a magazine. This part will need some cleaning. M1956 one quart canteen - 2 pieces to add on the back side of figure. Sitting on his knees with a shotgun on right hand and making a victory sign with left, figure comes in 9 parts. Head : Facial details and moustache are well defined. He has a Tiger Stripe Boonie Hat on his head. Body with head : He wears tropical uniform in ERDL camouflage with jungle trousers and SEAL ammunition carrying coat Bouyant, Type 1 – Rifleman. The coat is a thigh length, front open jacket with long sleeves. On front side of the coat, there are 2 waist pockets, three diagonal small pockets on left and one on the right side. On the back side, four vertical shoulder level pockets, two on each sides. A jungle first aid kit is tied between the pockets. He has Pistol belt on his waist with M1956 Small/Shorty Ammo Pouch on both sides. He carries a scarf on his neck. Folds and wrinkles and pockets of bouyant are well defined. He has vibram boots with trotters inserted inside and pattern on the sole of boots looks nice. Arms : Right arm posed to hold the shotgun and left arm is raised to make a victory sign. Folds on long sleeves of ammo carrying coat and shoulder pockets are well represented. Weapon : Figure holds an Ithaca 37 Shotgun. Ithaca Model 37 combat shotguns used in Viet Nam were riot guns with 18-inch barrels or trench guns with 20-inch barrels, with wood stocks and forearms and parkerized metal parts. It had plenty of firepower in a small package, with a disconnector mode that allowed one trigger pull to discharge a full magazine as fast as the forearm can be cycled. Right hand is cast on the shotgun. Another unique pair of figures with strong poses sculpted in crisp details and cast in high quality. Charismatic looks and special forces weapons and gear make it very interesting . It can be displayed alone or can be combined with other SEAL kits. Highs: Great looking figures, usual BRAVO-6 trio - nice sculpt, cast and ease on assembly with less parts. Ithaca, Stoner and Rifleman type ammo carrying coat are good choices for SEAL figures. Lows: A few seamlines to clean. Verdict: Great kit to complete the VC flag scene. For sure can be displayed in other SEAL team scenes too. They look very nice. Bravo-6 is setting the bar in post-war figures in my opinion. Almost want to do a dio with them just because they are so good.